There are 1022 posts in this topic. You are on page 1 of 21. Hello Pinsiders! A small number of you have been following our beta test of a product that we have developed to restore playfields. With many more titles in mind, we started with Space Shuttle. 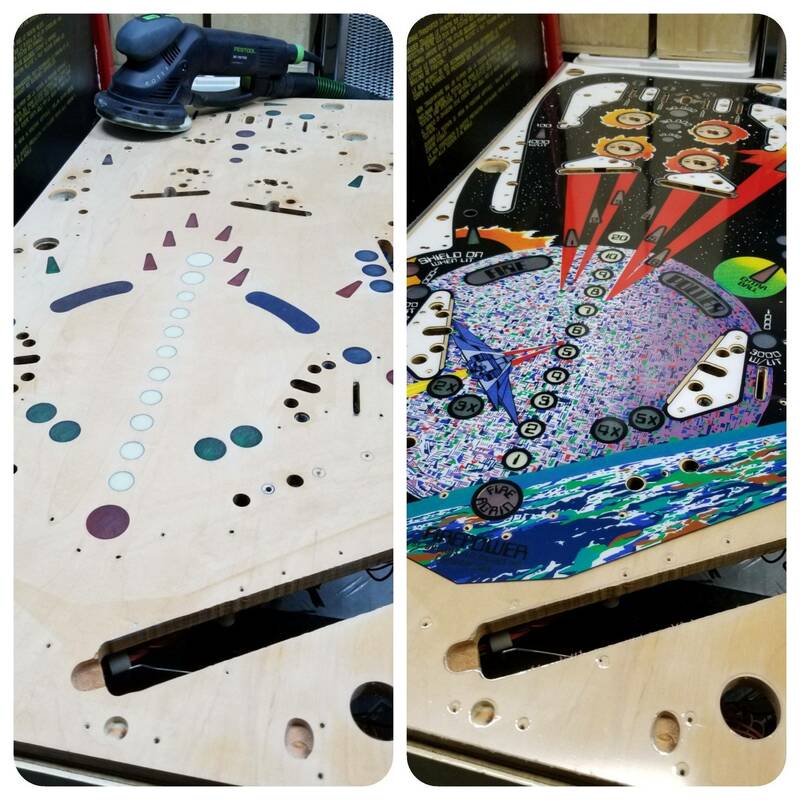 The Hardtop product was specifically developed with the challenges of playfield wear, value of machine, replacement availability... and durability in mind. 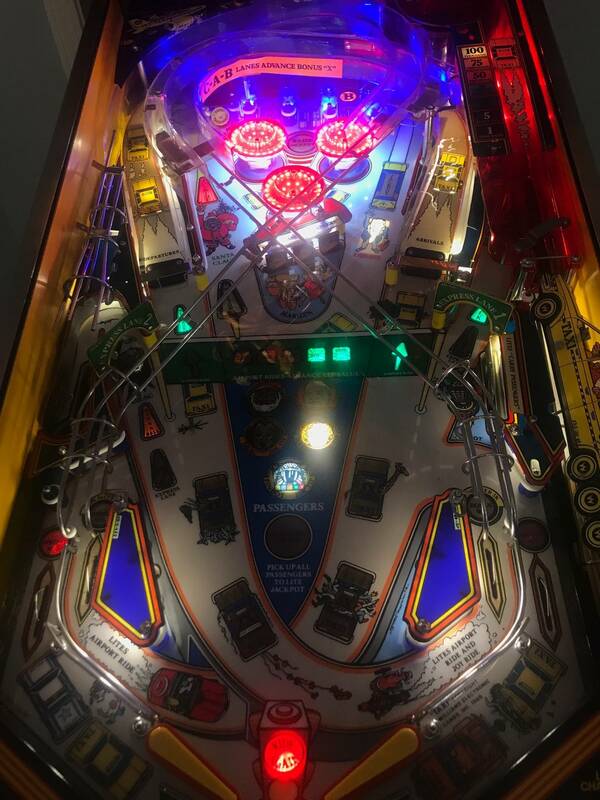 It is meant to be the closest thing to the "silver bullet" solution to that fun, yet worn out game your not sure what to do with. Our Hardtop is much more scratch resistant than the traditional clear coating methods currently being done today. The Hardtop is NOT a "sticker"... or overlay in the sense most have seen. 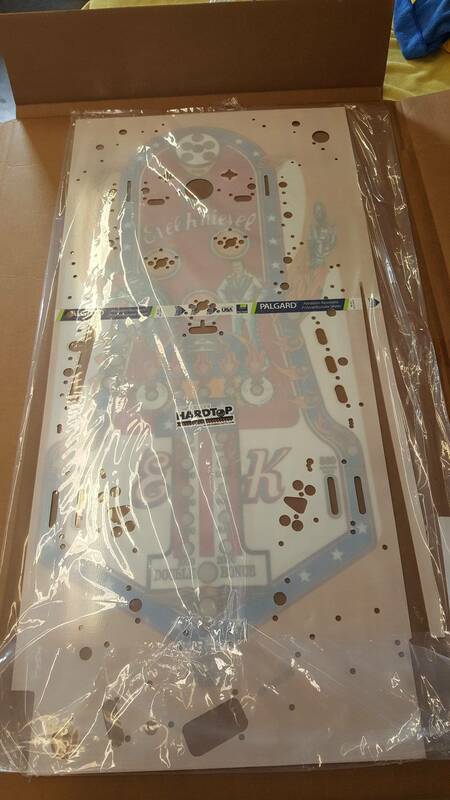 This product (in most cases) will roughly cost 1/2 of a new repro playfield. We partnered with a Pinside member to officially beta the product, and he did an outstanding job with his videos! If you have questions about what this product is... click the link! Well, we are finally ready to begin production of Space Shuttle, and have selected 5 more titles to start developing. In total, we have 31 titles on our "to do" list. We are currently licensed for Bally and Williams, and working on Gottlieb. More will most certainly be added to the list. We hope to debut 4-6 titles per year. More if we can muster it! 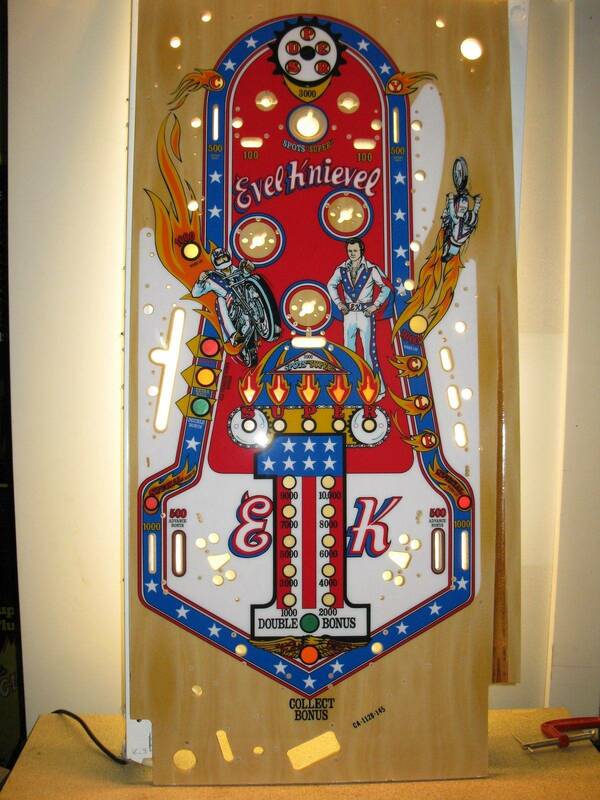 Most titles you see us do are titles unlikely to see an official repro playfield anytime soon... or never. 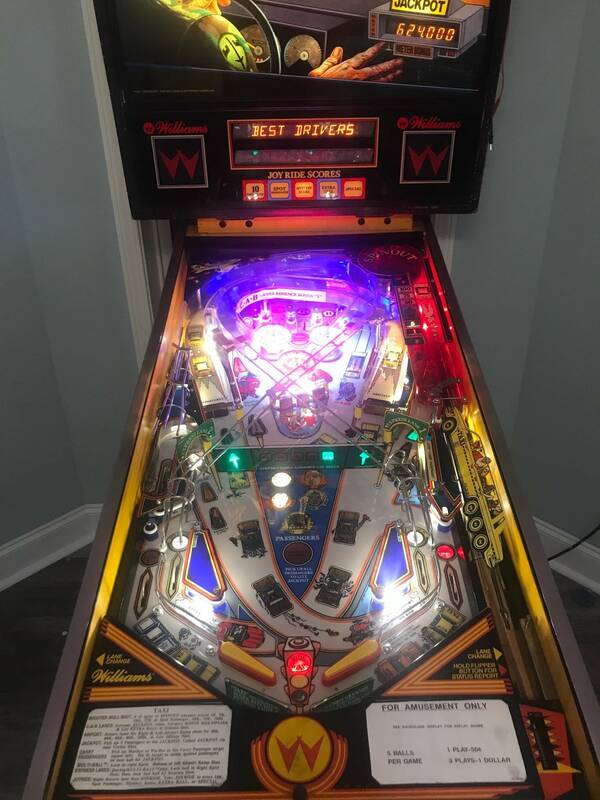 A few titles may be some that have had actual repros made... but not all either want to or CAN spend what it takes for a new playfield. We will cover pricing in the near future, but keep in mind that each title will have it's own price. Too many variables exist to "standardize" pricing at this time. I will try to keep up, but please note that i only pop into the site a few times a week. Lastly, I will post a longer term list of titles quite soon, along with the need for loaner STRIPPED playfields, where in return for your help you will get a FREE HARDTOP. More details to come! Have I mentioned that there is a poll? Do you have a ballpark price in mind for these? Well, you should already know my opinion, but I voted for Future Spa anwyays. Just give the word! I'd also consider Shuttle once the prices are known, since I don't think there's a way to vote for multiples? Don't intend to ever own another Comet, I've only ever seen one Pharoah in my area and it was fully restored+cleared already, and I don't personally like Wizard. *edit* Derp.. approx 50% of a repro playfield would put most in the 350-400 range? Sorry folks! I have a typo in my question, obviously... We are starting with 5 titles as listed. 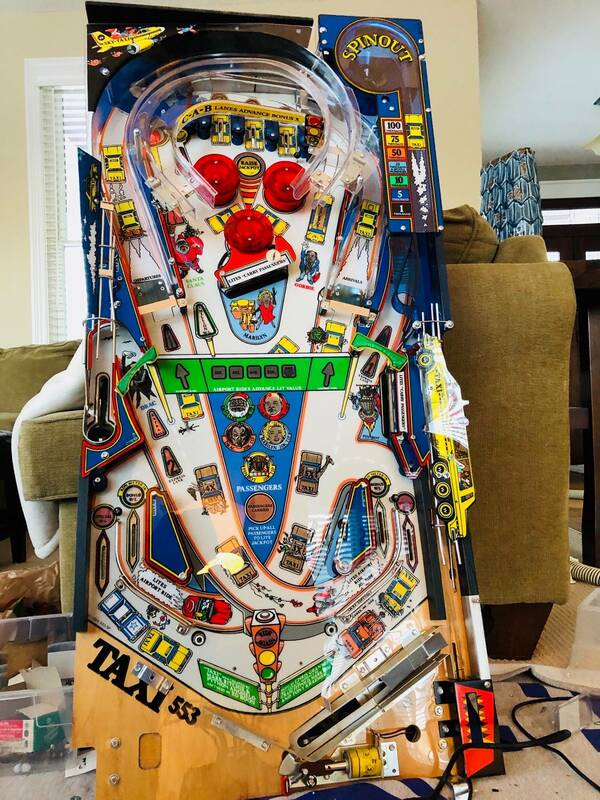 Post your wishes and I will try to keep a running list.If the playfield is in someone elses Que I will not list it. So, somewhere around $300-$600? It's a big range, which was why I was asking. You need to come to Ohio! Hey, that's me. I'm happy to help to answers any questions from my experience as well! I think what he's saying is that a price 1/2 of a repo playfield of that kind of game. 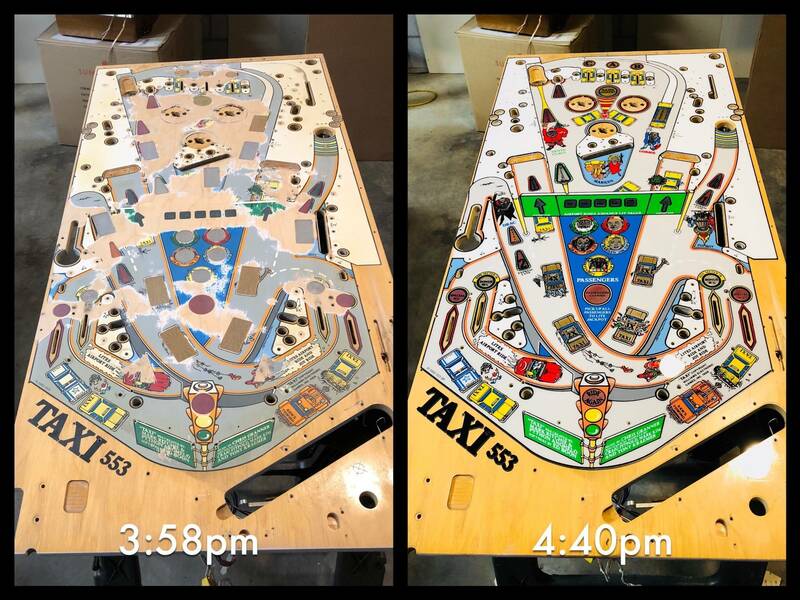 Space Shuttle was $550 for a repo playfield. Black Knight was $579 for the DOUBLE playfield set. Pricing... think low side to high side for "most" titles..... $285.00 - $385.00 ... nothing planned that I can think of that would approach $600.00. Each title will have a unique set of challenges, and as we all know the devil is in the details! I will have title by title pricing for the first 5 soon. Will have to keep an eye out for a trashed space shuttle as i have none of the titles you list yet and space shuttle is on my want list. Do you have to sand down the original first, or just place on top? How do the inserts look having to shine through extra material? For me its tough to vote. I would rule out comet simply because its such a cheap game, most people wouldn't want to stick the extra money into it. I like the idea of Pharaoh but its a pretty low production run. I think you should do a game like black knight personally. I know they made repro PF's for it, but now they are hard to come by. Not to mention not everyone has the kind of money to sink into a repro PF (such as myself). Plus there is A TON of BK's out there that have badly worn PF's and it is a desirable game. I think space shuttle was a good first choice, because of most of the reasons I listed above about BK. Your other options just don't have the same kind of draw. Some other good candidates IMO would be: Centaur, Sorcerer, eight ball or EBD, Xenon, Pinbot ect. 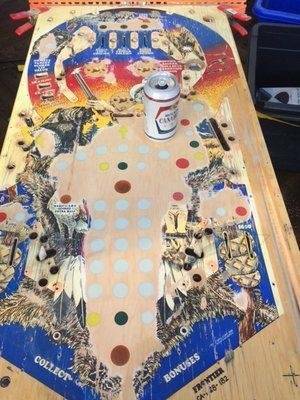 You're going to want to sand down the original playfield. This includes removing any mylar that may be on there today. It's also important to sand off any decals over the inserts. For me its tough to vote. Its not a vote. Outside edge is attempting to get an idea of how many of these to produce in a run. They have stated that there will be more titles to come. But if you want one of two+ of the listed titles you can't quantify that with a single item vote. I look forward to seeing these come about. I got the impression from your post that yours was already sanded due to the overlay? 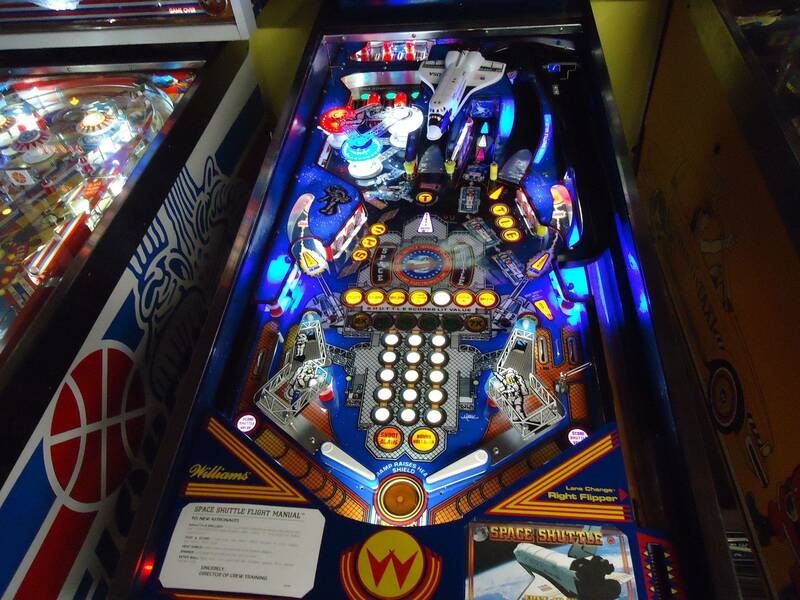 Personally, my top list of games as far as finding a game with a wasted playfield would be space shuttle, firepower, black knight, comet, and if you wanted to do a widebody- flight 2000. 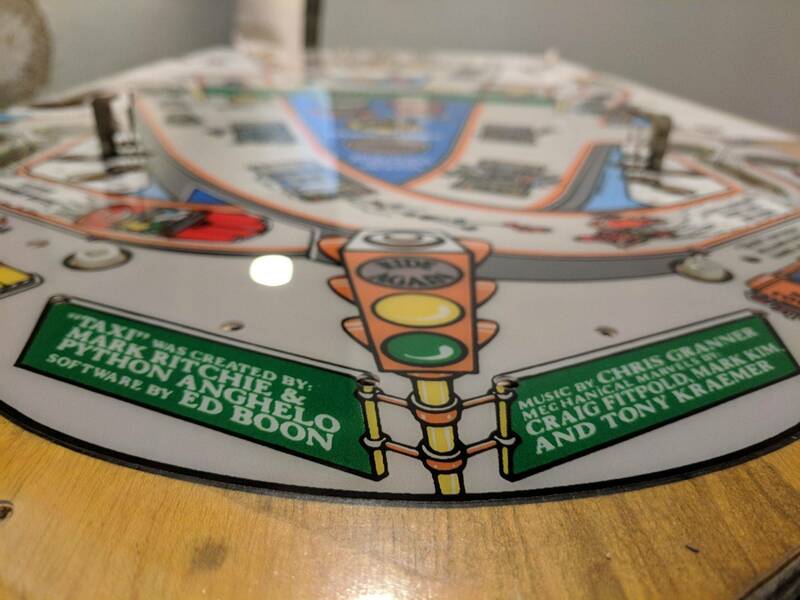 I have been to a bunch of different pinball shows and those titles are always either roached out or have a nos or repo playfield, yea some of the titles are not worth big money but if its half the cost of a new playfield and it certainly looks like a job that someone that doesn't think they have the skills to do a playfield swap could accomplish this themselves instead of buying an expensive new playfield and having to pay someone else to install it. Some other good candidates IMO would be: Centaur, Sorcerer, eight ball or EBD, Xenon, Pinbot ect. Yeah there's probably a reason they had repro's made for them right? Did everyone who needed one get one? Could everyone who wanted one afford one even if they were lucky enough to get in on these limited runs of repro playfields? If you missed out are they easy to come by now? Answer those questions and then explain to me why those games shouldn't be near the top of the priority list for this product. If you have a good explanation then please point me in the direction of where I can get my BK looking really nice for ~350 or keep shaking your head. There are still a ton of games out there that have never been considered for reproduction. I think this is exciting ! So many possible opportunities for what was once a lost cause title. It was in some places, but I had to sand it even more to get all the insert decals off. If you have a good explanation then please point me in the direction of where I can get my BK looking really nice for ~350 or keep shaking your head. 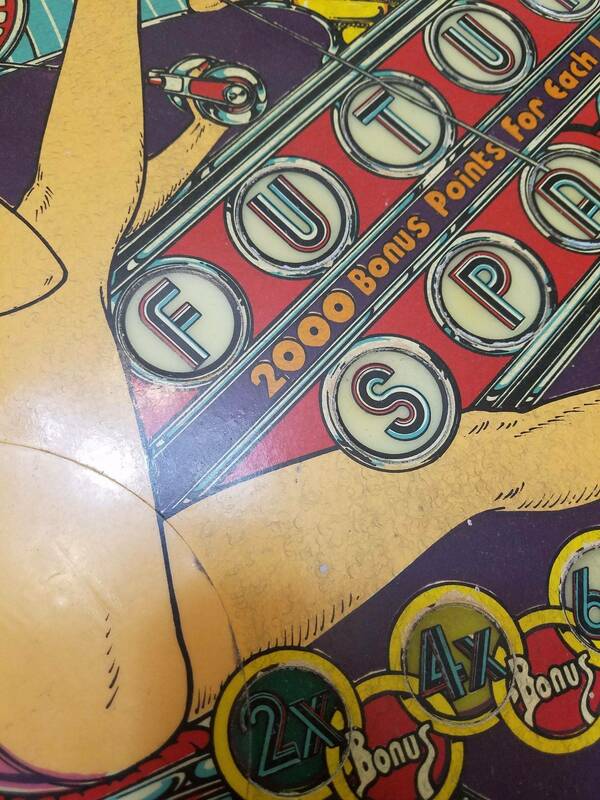 And explain to me where the hell I can get a mint Future Spa at *any* price, since I've seen ONE NOS playfield in the 6 years I've been in the hobby, it's in a game of a local collector to me, and he won't sell it for any price....believe me, I've asked. 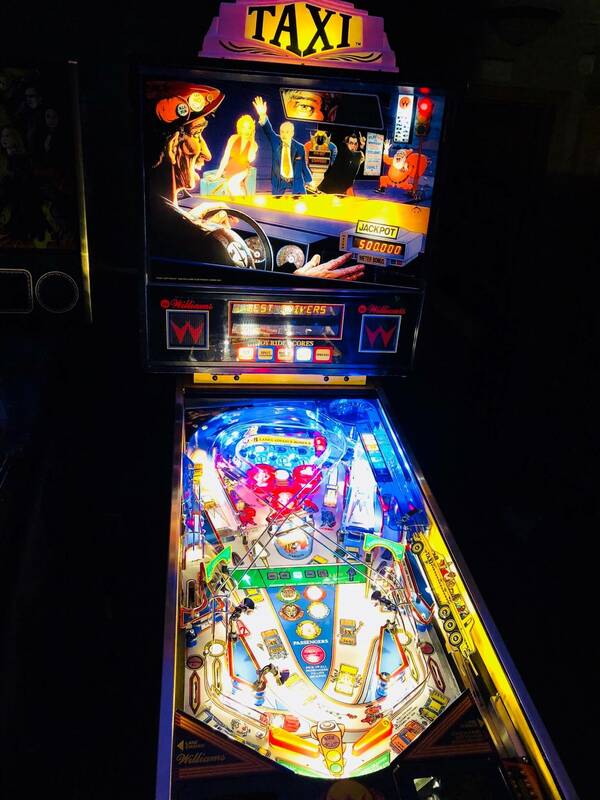 The playfields have never been repro'ed, or the plastics, or the backglass. 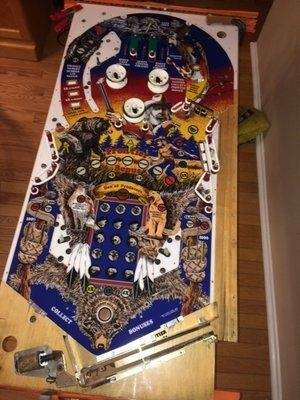 Have never seen a playfield that would be worth trying to restore, and I have one already with VERY minimal wear. It's too complicated to be fully repainted, even the stupid inserts are screened with FOUR COLORS instead of just BLACK, and every one I've ever seen except that ONE NOS was yellowed and gross, unless chicks with "hairy" legs is your thing. I'm sorry you missed your window, but frankly, what does that have to do with me? BK has had playfields run TWICE from what I understand, plastics were run.. pretty sure the backglass was too? If it was that important to you, which it's clearly NOT since 350 bucks is your ceiling, you could go find one. Just because you don't want to spend the money is ENTIRELY DIFFERENT than *not even having an option*, which are the games I'm advocating are more important to run first. The fact that you personally want to be a cheapskate because you missed them or simply didn't want to pay the price earlier when they were available has zero bearing on the games I'd rather see be *POSSIBLE* to be restored. I can't just go out and conjure something that doesn't exist out of thin air. You can go buy a restored game, or wait for these to be run, or wait for a repro PF that's already been run to hit ebay....there's at least an option, even if you find it not to your liking. Frankly, I'd rather that CPR was going to run Future Spa, but apparently they just hate the game because there aren't thousands of people crawled up it's rear like Paragon... I'd *rather* sit on a waitlist for two years and pay them 1k for a new production playfield than have to jump through hoops trying to convince someone else to make some kind of alternative solution, but they don't have any interest, because CPR's bottom line (and in some cases their very survival, which I can't argue against..) will always take precedence over what's actually needed. You're taking a VERY narrow view of what's best for the hobby, simply because it would benefit you, IMO. Your opinion is only the most popular games should be preserved....my opinion is that as MANY DIFFERENT games as possible should be preserved. Which one of us is right? I dunno. unless chicks with "hairy" legs is your thing. If he likes French women, maybe that's his thing. I'll take a space shuttle when they're available. I am commenting to follow this. Really cool sounding project. Can't wait to see how it pans out. frax just want to say I'm right there with you. I have a Dungeons and Dragons, and I suspect hell will freeze over before I see a CPR. Something like this seems very viable alternative. Just an overview but many games like Firepower, Black Kight ...etc were and are much more popular than Future Spa that many owners are looking for a fix for thier games. Just like any product demand drives the market. 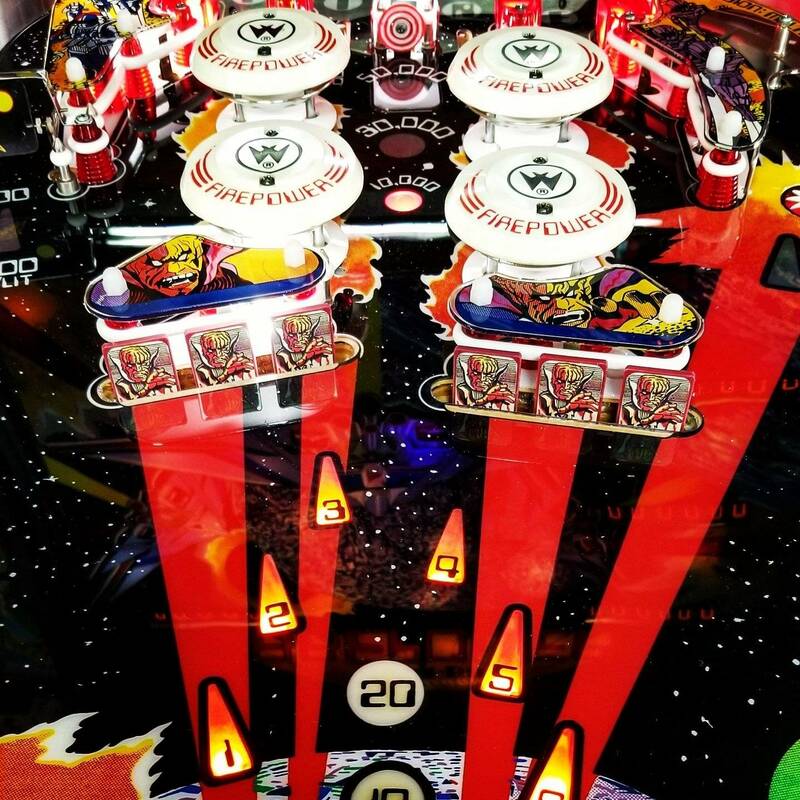 Black Knight and Firepower already had repo playfields & vinyl overlays over the years. Future Spa, Comet and whatnot have never had any repo playfields. Count me in for a new space shuttle ASAP! 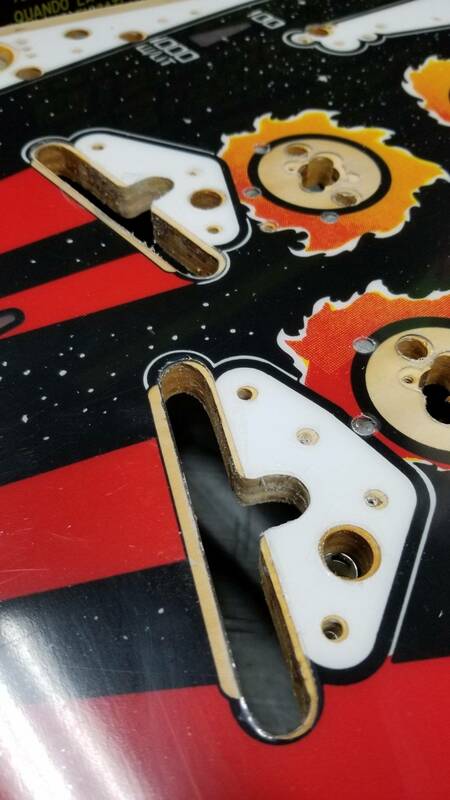 I've owned 4 Comet's and they all had trashed playfields. And there is a good reason for this. It's a really fun game. 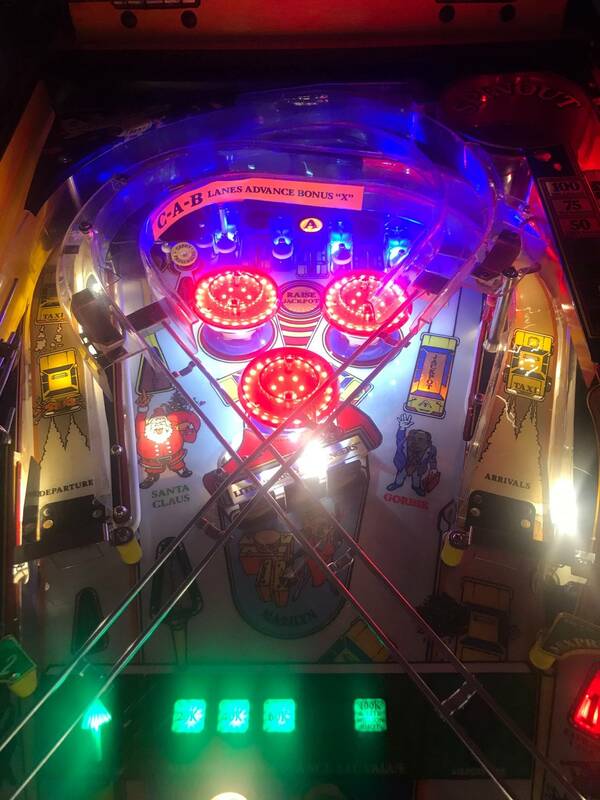 A cheap way to make the playfield look new would be the ticket. Still can't believe CPR never did this. Another idea: you could use this to easily create a retheme. 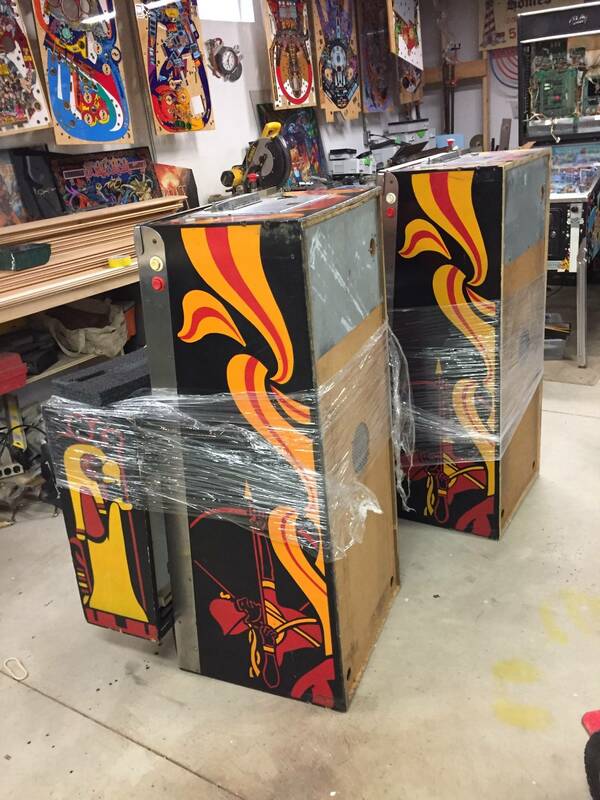 Think of all the Flash machines out there, most with trashed playfields, and nobody really likes the art. Come up with a new theme (or even upgraded Flash artwork) and have backglasses made, and wham! A rethemed brand new machine for say $600-800 parts plus your labour. Not trying to discourage any remakes at all but the most popular tables with the most potential for sales will be the best sales candidates. Vid I have always agreed with you 100%. But I hope they put out a Firepower overlay. I totally disagree with that statement.The most popular titles have playfields readily available. Other top titles have playfields in process of some kind. The "A" games demand big money and I don't believe many owners will place a Hardtop on them. This product screams for all those titles that do not have playfields in a pipeline somewhere. Even games where the repo playfields are gone such asFathom,Flash Gordon,Taxi can be made. This product would be perfect for so many Gottlieb titles that won't ever have reproduction playfields made. Black Hole, Haunted House, bunch of 80b's like Robowars, TX sector, etc. The nice thing is that if the 100 hours of labor to generate the art holds true (and maybe improves with experience) I could see a lot of machines being covered with this product. Is it really that hard to cast your vote without being rude? Who cares if a game had repro PFs done in the past? How many did CPR make? How many more of that title exist? Even then, how many people would be better off with this option compared to a full playfield swap? This is a lot easier, and a pretty cool idea. Even then, how many people would be better off with this option compared to a full playfield swap? Couldnt agree more, Cpr did firepower a while ago and are gone and hear of people looking for them all the time. 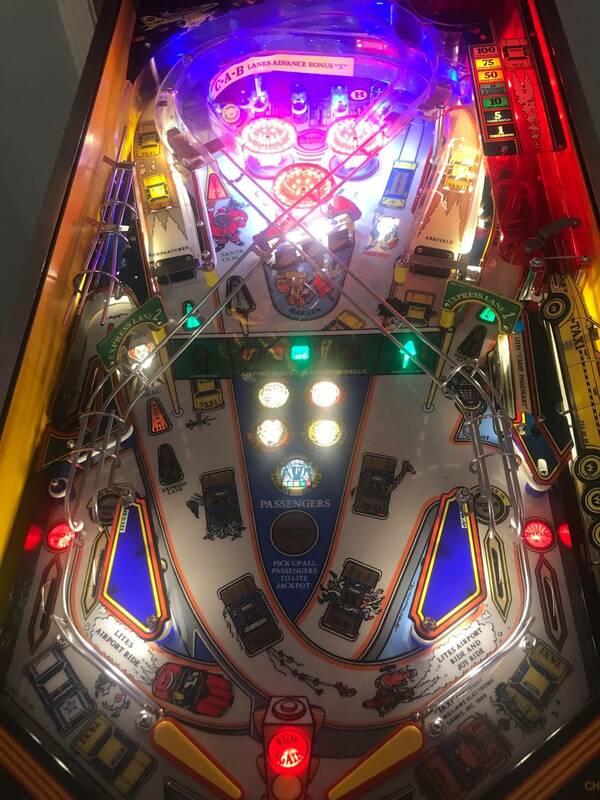 There are definitely many titles that I would not want to invest all the time and money needed to perform a playfield swap, no matter how available the repro playfield was. This method sounds perfect for such titles. Space Station should be on the list, none out there and no one wants to take it on for a refurb.